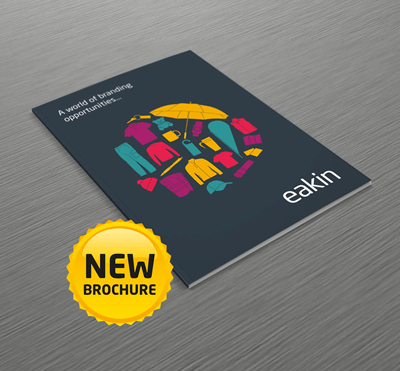 Think Print - Think Eakin! 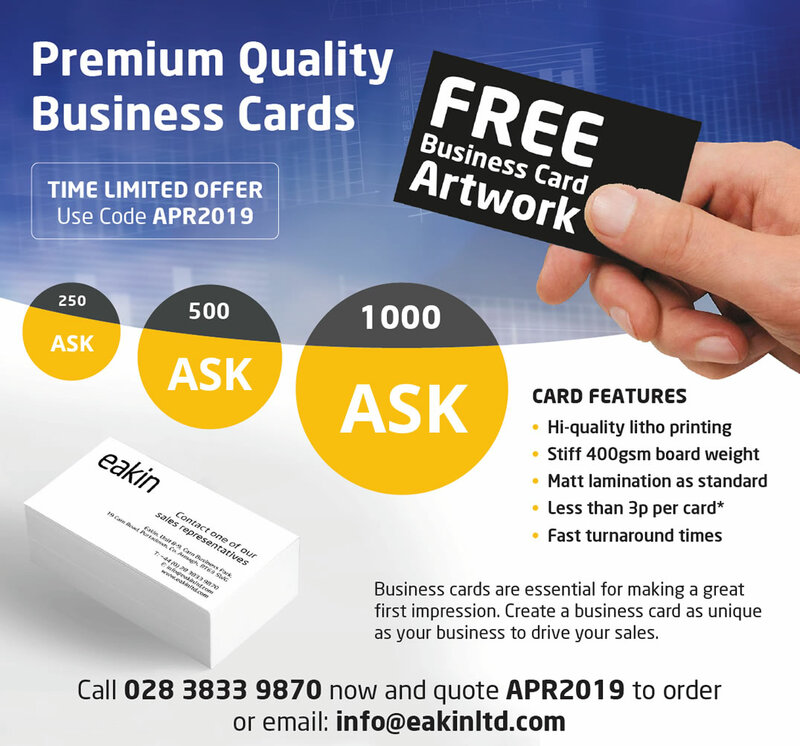 Limited Time Offer - Free Business Artwork! Business cards are essential for making a great first impression. 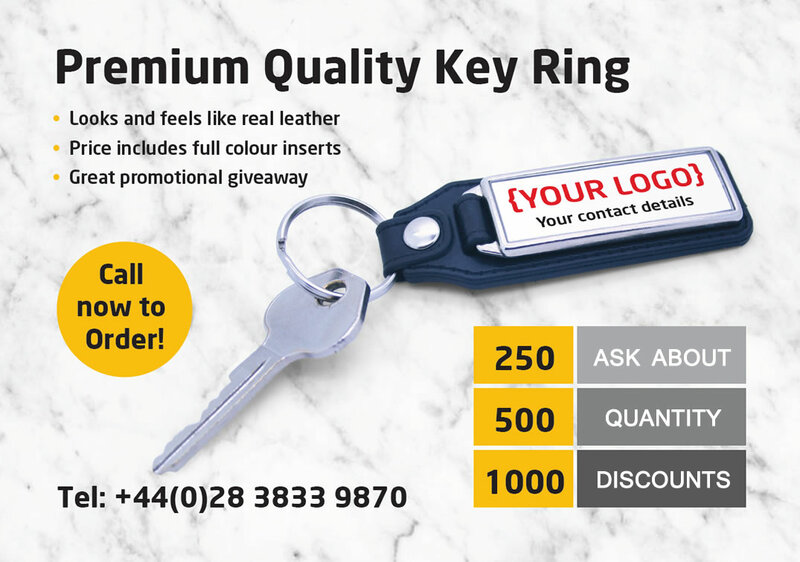 Create a business card as unique as your business to drive your sales. Reinforce your brand with our shapely, digitally printed contour pens. 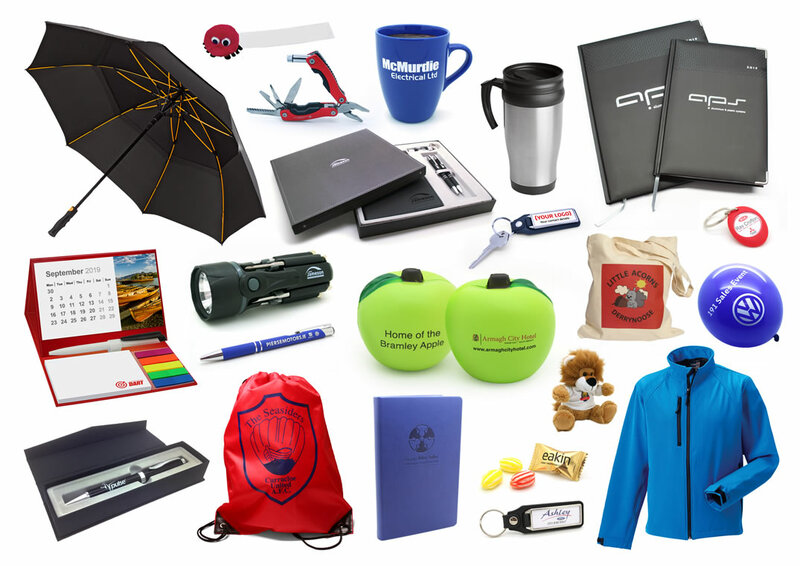 The perfect tool for staff in your office or as an inexpensive giveaway to your customers. 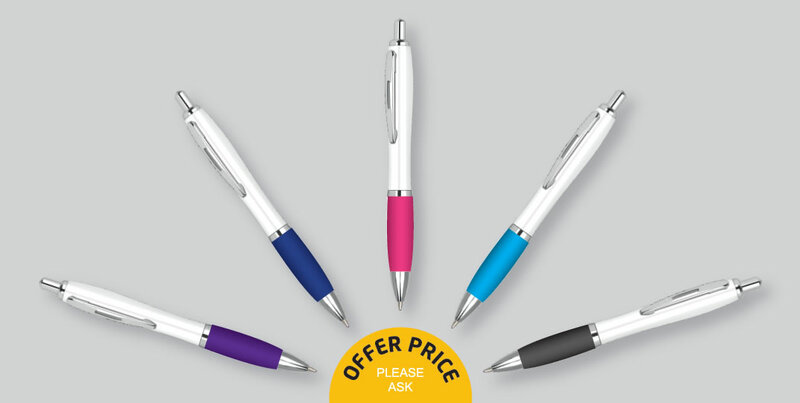 The pens which have a crisp white barrel, your choice of coloured grip, metal trims and black ink are available with a full colour print of your branding on one side. Ask your area sales representative about our time limited special offer pricing or enquire using the contact form on this page. Stand Out In The Crowd Make your promotion personal with a beautiful print of your logo. A Touch Of Frost ? - Stay Protected! 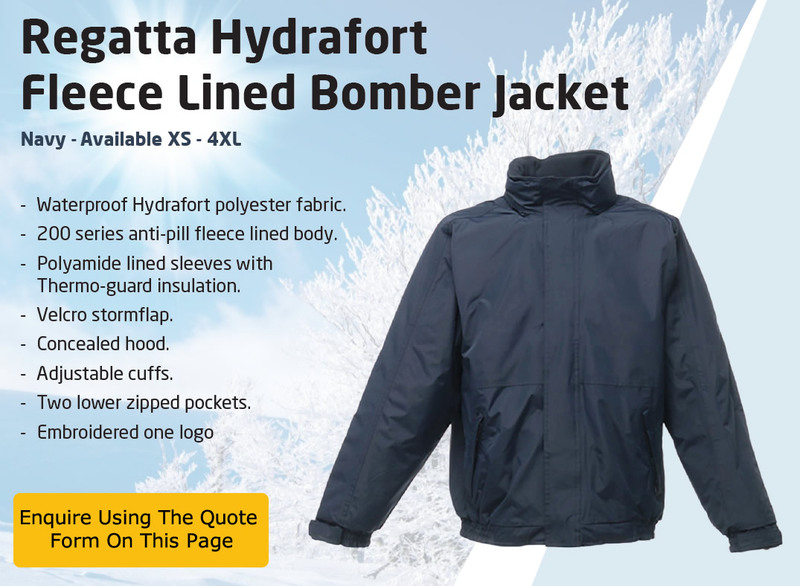 Don't Feel The Cold & Rain With Our Regatta Hydrafort Fleece Lined Bomber Jacket. An exciting new range of Promotional Umbrellas from Eakin. For more information or to place an order contact your sales representative or complete the enquiry form on this page. © 2019 eakin ltd - All Rights Reserved.